Acne is so common that it is considered a normal part of growing from a child to an adult. But knowing that doesn’t make it easier when you look in the mirror and see a big pimple on your chin! The good news is that learning about acne and taking some simple steps can help you feel better about your face. Acne is a condition that shows up as different types of bumps. What causes these annoying breakouts? Your skin is covered with tiny hair follicles and pores. Pores contain sebaceous glands that make sebum. Most of the time the glands make the right amount of sebum but sometime a pore gets clogged up with too much sebum, dead skin cells, and bacteria. This can cause acne. The two main causes of acne are blockage of the pores and bacterial growth. Oil and cells get trapped below the surface of the skin, creating the growth medium for bacteria. In both men and women, the androgen hormones are present in much higher concentrations at puberty and acne results. A diet high in beef and with a low GI was associated with a clinically significant improvement in acne. Clients who have acne excrete more sebaceous lipids onto the surface of the skin which increases inflammation. They are the most superficial of all chemical peels, so there is no downtime. These peels are called “lunchtime peels” because you can get one done quickly over a lunch hour and return to work directly afterwards. During a light chemical peel treatment, the skin is exfoliated using an alpha or beta hydroxy acid. Done in a series, these peels can improve mild to moderate severe cases of acne. Light chemical peels are also used to soften the look of fine lines and wrinkles, even out skin texture and fade discolorations. How does Chemical Peels work? Chemical peels do not really peel the skin. They rapidly exfoliate the skin cells to shed more effectively. 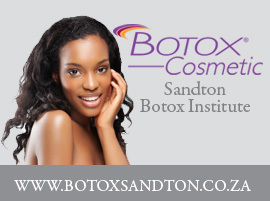 By keeping dead skin cells and oil from clogging the poor blockages and pimples can be drastically reduced. Beta Peel is a light superficial chemical exfoliation which contains 15/20/30% Salicylic acid in a self-neutralizing base. It assists in impurity removal and is brilliant for hyper pigmentation due to salicylic acid being known for its anti- inflammatory properties. The Lamelle Beta Peel is exclusively indicated for acne clients and is our first line of defense when treating acne. Post treatment clients will see a marked improvement in their skin. The Glycolic acid skin renewal peels come in four strengths: 20, 35, 50 &70% free glycolic acid. The peels help to improve the appearance of environmentally damaged and aging skin and conditions such as pseudo folliculitis, keratosis pillars and mild to moderate acne. Chemical peels are most commonly performed using alpha hydroxyacids. These are naturally occurring acids found in fruits and other food. Alpha hydroxy acids have proven to be effective in treating dry skin, acne, liver or sun spots, diminishing fine facial wrinkles, decreasing pore size, and improving skin texture. For best results the chemical peel and microdermabrasion treatment is used in conjunction. Clients are recommended to come for a treatment every two weeks for six weeks. Many of us deal with Acne particularly in our teens and possibly into our early twenty’s but the truth is acne is not prejudice and it will attack anyone of any age. The effects that it leaves behind can often be embarrassing. The good news is that you do not have to live with these embarrassing marks. 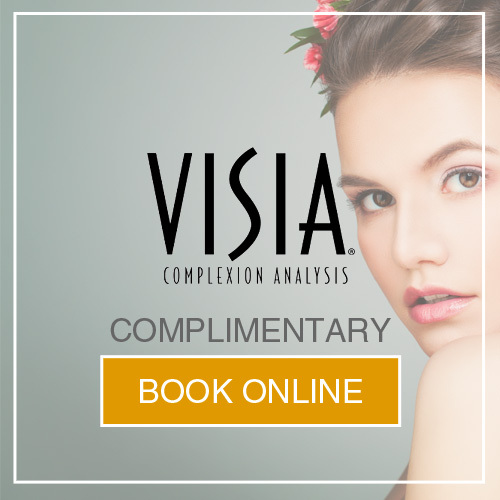 Although microdermabrasion is not specifically designed to be an acne treatment, it has nevertheless proven to be one of the most popular acne treatments over the past few years. Microdermabrasion is a very effective treatment for reducing and controlling acne and it is found that it works almost from the first day of use. A wand with a diamond –encrusted tip is passed over the skin. The diamond tip abrades the skin and the exfoliated particles are then vacuumed away through the same wand. The skin is deeply exfoliated by the diamond tip, so it feels softer and smoother immediately after the treatment. The exfoliation also helps reduce the formation of comedones and brightens the complexion. To help prevent the oil buildup that leads to acne, wash your face twice a day with warm water and a recommended cleanser. Do not scrub your face. Scrubbing can actually make acne worse by irritating the skin. Wash gently, using your hands instead of a washcloth. If you wear makeup, moisturizer, or sunscreen, make sure they are “oil-free”, non-comedogenic or “non-acne genic”. When you wash your face, take the time to remove your makeup. If you use hair sprays or gels, try to keep them away from your face because they can clog pores. Caps and other hats can cause pimples along the hairline. Don’t pick, squeeze, or pop pimples. Poorly controlled acne, whether mild, moderate or severe, can have a lasting legacy in terms of both physiological and physical scars. Studies have shown acne to be associated with feelings of self-consciousness, low self-esteem, depression and anxiety.